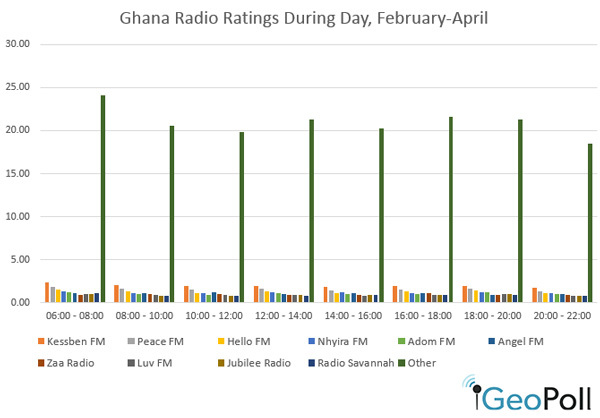 Using the daily data collected through GeoPoll’s Media Measurement Service, GeoPoll has analyzed the top radio stations in Nigeria and Ghana for the past three months, from February 1st- April 30th. We examined both ratings* and share** for the top stations in each country. 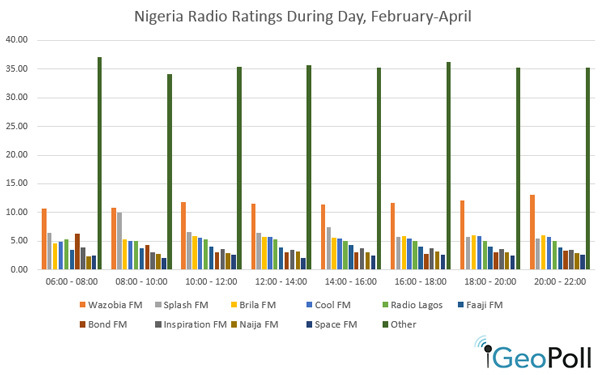 The below chart shows the average ratings for the top 10 radio stations during the day, from 6:00 to 22:00. 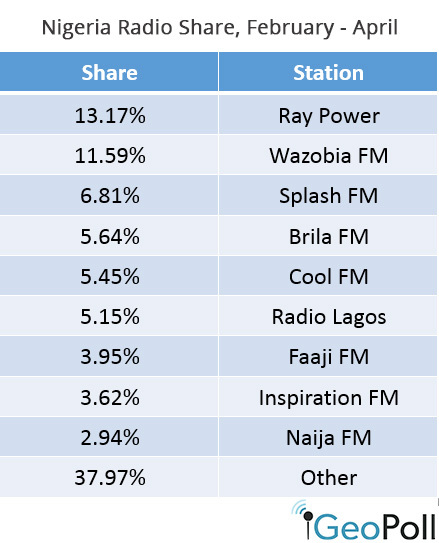 Nigeria boasts numerous radio stations that are organized by state and ultimately the high rating for “other” in the above chart points to fragmented listenership across the country. During the morning hours, Splash FM gets higher ratings between 08:00-10:00. Bond FM listeners also appear to be tuned more in the morning period. Wazobia, on the other hands gets higher ratings during the evening hours. 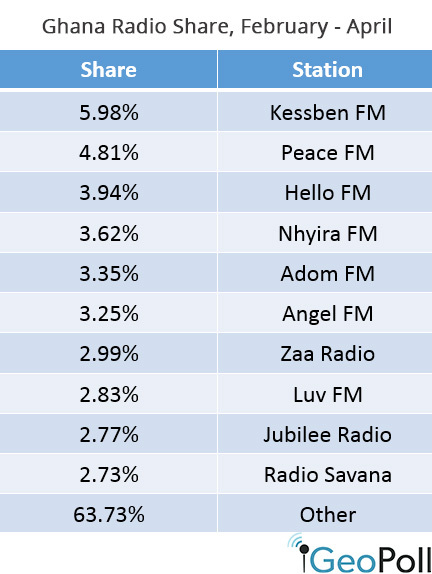 The below chart shows the average ratings for the top 10 radio stations during the day, from 6:00 to 22:00. As a background, it is important to note the presence of a lot of stations in Ghana which are mostly regionalized. The net effect of this is that the listenership is fragmented and “Other” radio stations takes up high ratings meaning that ratings are less than 2 points for most stations.